Kirk Torgensen testifies on the fourth day of John Swallow's public corruption trial at the Matheson Courthouse in Salt Lake City on Friday, Feb. 10, 2017. A key witness in the public-corruption case against former Utah Attorney General John Swallow filed a lawsuit Thursday against Salt Lake County prosecutors, alleging they had him unconstitutionally jailed in order to sway his testimony in the state’s favor. Former Chief Deputy Attorney General Kirk Torgensen’s lawsuit names District Attorney Sim Gill, in addition to deputy district attorneys Chou Collins, Samuel P. Sutton, Fred Burmeister and investigator Cortney Nelson. Gill declined to comment on the lawsuit Thursday night because he hadn’t yet seen it. “We ... will respond in due course after reviewing it,” Gill said. Torgensen was incarcerated on a material witness warrant in January 2017. At the time, prosecutors said he was jailed because they feared he wouldn’t show up to testify against his former boss, Swallow. Swallow and his immediate predecessor, Mark Shurtleff, were both charged in an alleged “pay-to-play” scheme in 2014 for allegedly trading favors and access for money and luxurious vacations and experiences. Swallow was acquitted of all charges. The case against Shurtleff was dismissed. Both have sued to reimburse them for money lost throughout the saga, which became known as the state’s most sweeping political scandal. Torgensen’s lawsuit, filed Thursday in Utah’s U.S. District Court, alleges he always intended to participate in Swallow’s trial — and told prosecutors that, despite having to cancel a planned vacation out of the country to do so. 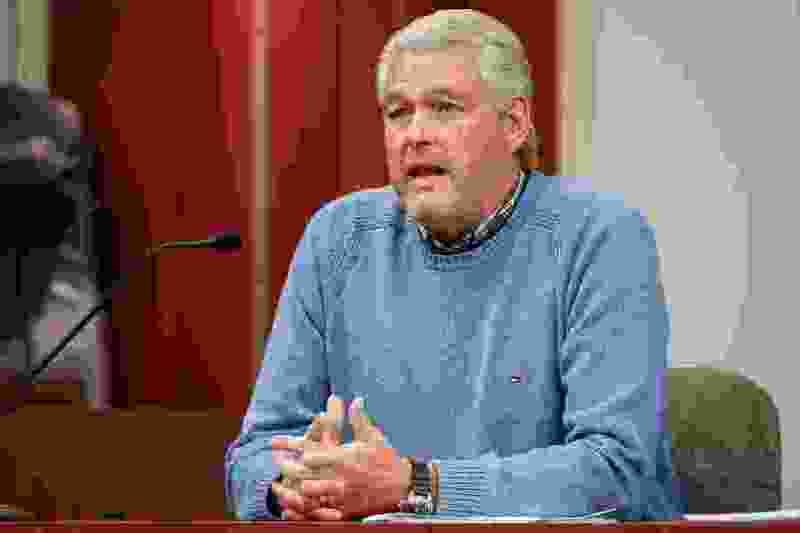 Prosecutors, the lawsuit alleges, didn’t listen to Torgensen and refused to honor his requests for accommodation, such as videotaping his testimony or reimbursing him for the costs to change his travel plans. Instead, Torgensen was jailed on the day of his mother’s burial — in the end, for nothing since Swallow was ultimately acquitted, Torgensen’s attorney Dan Larsen said Thursday evening. The lawsuit says that because Torgensen cooperated with authorities throughout the investigation and believed his testimony could have proved Swallow wasn’t guilty of corruption, that it’s reasonable to believe “his arrest was intended to intimidate and pressure him to testify in a manner consistent with the prosecution’s view of the case." The lawsuit alleges Torgensen’s incarceration violated his rights against unreasonable search and seizure. Torgensen is seeking an undetermined amount of money for compensatory damages, including deprivation of liberty, emotional distress and suffering, embarrassment and depression, in addition to economic losses, attorney fees and other punitive damages “not less than twice the amount” of money awarded as compensatory damages.